That guitar looks great. It becomes art on the wall, and I love that it's not on the floor. Michele, hanging the guitars makes a lot of sense to me for both of those reasons. 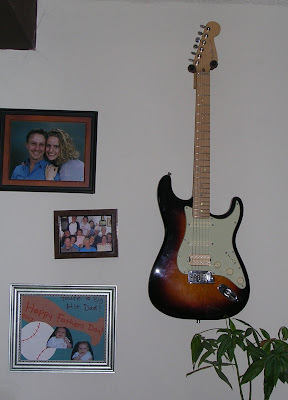 And I've just found another way to hang the guitars: the Hang'em High Guitar Wall Hangers.